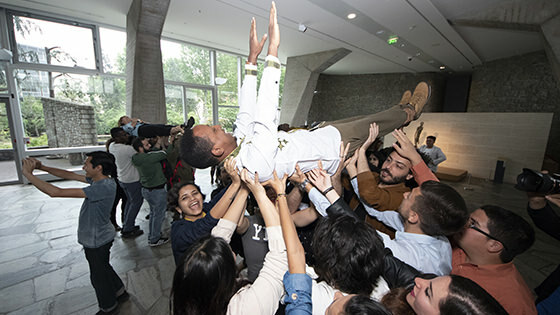 The Education for Sustainable Development (ESD) Youth Conference “Youth Saves the Planet” took place from 14 to 16 May 2018 at UNESCO Headquarters in Paris, France, bringing together 70 youth leaders from around the world. The event marked the culmination of a series of regional workshops for youth leadership training on ESD, held between February 2017 and March 2018 in Bangkok, Beirut, Brasillia, Dublin, Portugal, Nairobi and New Delhi. Out of the 300 young leaders who participated in these training workshops, 50 were selected to attend the conference, along with 20 young journalists with potential to promote ESD and contribute to the discussion. 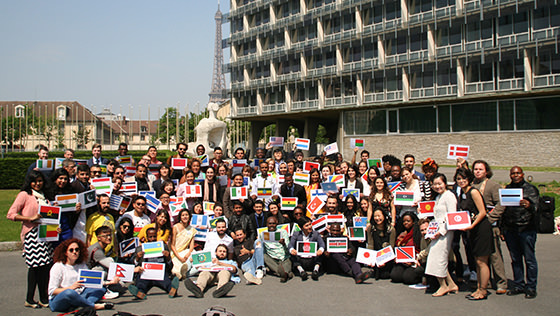 In view of the successful ESD Youth Conference in Okayama, Japan, which it helped organize in 2014, the Goi Peace Foundation was invited to collaborate with UNESCO in planning and facilitating the Paris Conference along with other Key Partners of the Global Action Programme (GAP) on ESD. Several youth from the Okayama Conference were also invited as facilitators and mentors. In the opening, UNESCO representatives expressed high expectations for the role of youth in driving ESD forward, and explained the three objectives of the conference: 1) Agree on a network mechanism for ESD Youth Leaders to facilitate collaboration and to continue scaling up capacity-building activities; 2) Engage ESD Youth Leaders and young journalists to increase visibility on ESD actions through media and communication outlets; 3) Provide input to the draft position paper on the future direction of ESD. Following some icebreaking activities, youth representatives from each of the regional workshops shared their learning and post-training activities. It was reported that many of the workshop participants conducted their own training program in their respective communities, reaching over 11,000 young people in total. In the afternoon capacity building sessions, the participants first had a chance to choose one of the four parallel workshops: Fundraising, Mentorship, Scaling up activities, or Evaluation and monitoring. They were then invited to propose projects and actions for collaboration in an Open Space style, and twelve joint projects were discussed in spontaneous groups. On the second day, capacity building sessions on communication were led by professional journalists, ranging from video reporting to writing and marketing stories through print and social media to increase visibility of ESD. 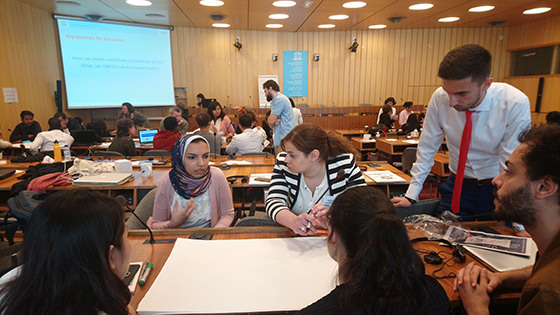 Participants also had the chance to learn about ESD practices for the SDGs being implemented by different organizations in France in the areas of education, consumption and food production, climate change, world heritage and cultural dialogue, and arts, culture and innovation. The last session of the day was dedicated to a discussion on the network mechanism and platform needed to facilitate collaboration and continue scaling up youth action for ESD. 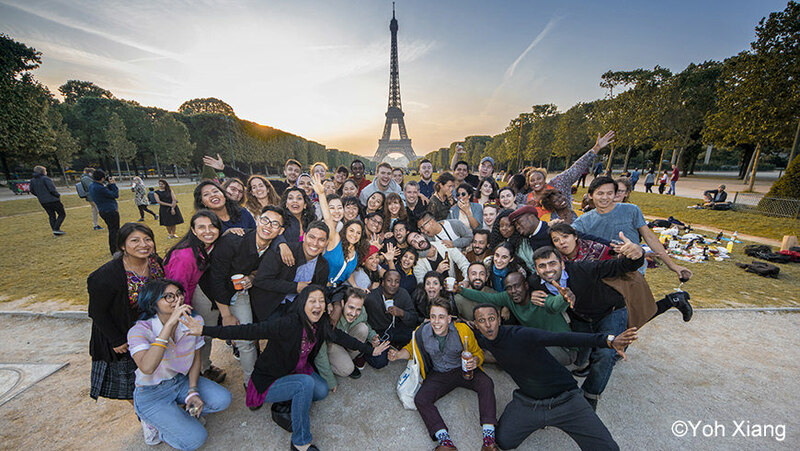 It was agreed that the newly formed global network of ESD youth leaders should not only include the 70 conference participants, but all of the youth who took part in the regional training workshops. 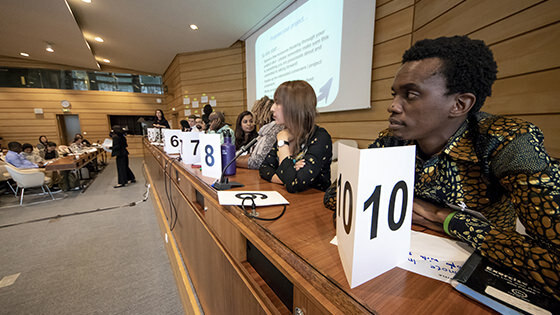 The last day of the conference focused on discussions on the future of ESD based on the position paper drafted by UNESCO, in which youth offered ways in which they can contribute to the post-GAP process and suggested what UNESCO could do to support their activities for sustainable development. In his closing remarks, Mr. Alexander Leicht, Chief of ESD Section at UNESCO, thanked everyone for their contributions and affirmed that “UNESCO will continue to promote ESD, and young people will remain a clear cornerstone of our work.” Many ideas and actions were born at this ESD Youth Conference, and now it is up the youth to take them to the next level.